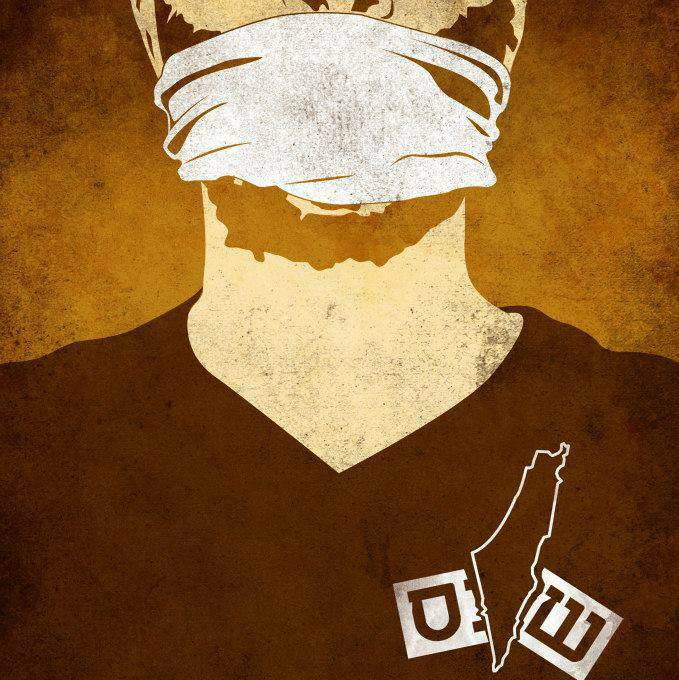 Ramallah – 17/9/2015 – Administrative detainees on hunger strike, Munir Abu Sharar, Bader Al-Ruzzeh and Shadi Maali, who are isolated in the cells of Al-Naqab prison informed Addameer’s lawyer, adv. Samer Samaan during a visit on Wednesday that the Israeli Prison Service (IPS) has imposed a set of harsh and inhumane punitive measures against them. Among the punitive measures imposed was denying the hunger strikers access to cold drinking water forcing them to drink warm water from a rusty water faucet in their cells, knowing that the prisoners have entered their 18th day on an open hunger strike. The IPS further blocked all openings in cell gates which limited the supply of fresh air in the rooms. Abu Sharar told adv. Samaan he has been sleeping on a mattress next to the doorstep where the small opening beneath the gate lets some air in. Abu Sharar added that the IPS has confiscated all their belongings as they were placed in solitary confinement immediately after they embarked on their hunger strike. The IPS further denied them access to clothes, books, blankets and pillows. Addameer Prisoner Support and Human Rights Association condemns these harsh and inhumane punitive measures imposed on the hunger striking detainees in violation of international human rights and humanitarian norms and standards. These inhumane measures are a violation of the Convention Against Torture and the Fourth Geneva Convention particularly under common article 3 which strictly prohibits cruel treatment and outrages upon personal dignity, in particular humiliating and degrading treatment. Inhumane punishment and treatment further constitute a grave breach of the Fourth Geneva Convention and a war crime as enshrined under article 8 of the Rome Statute. Addameer further condemns denying its lawyer, adv. Farah Bayadseh from visiting hunger striking detainees Ghassan Zawahreh in the isolation of Ela prison even though the visit was arranged for in advance. The IPS notified adv. Bayadseh upon her arrival to Ela prison that Zawahreh was being transferred to Al-Naqab. Upon requesting to visit Zawahreh in Al-Naqab, the IPS claimed Zawahreh will spend the rest of the day in transfers. Addameer denounces the repeated transfers of hunger striking detainees as a means of punishment and pressure with complete disregard to the fragile condition the detainees are in due to the hunger strike. Five administrative detainees have embarked on an open hunger strike on 30/8/2015 in protest to the administrative detention policy following several escalatory steps that included a partial hunger strike that started on 20/8/2015. The hunger strikers are calling for their immediate release and for the release of all administrative detainees. Addameer points that the five hunger striking detainees are only drinking water and so far the IPS hasn’t supplied them with any salt or minerals even though their hunger strike has went on for the past 18 days. Both Abu Sharar and Al-Ruzzeh are also refusing all medical examinations. 250 Palestinian prisoners have also started refusing meals for 3 days a week in solidarity with the hunger striking detainees as part of a series of solidarity measures that started on 15/9/2015 and will continue until 21/10/2015. Another 100 prisoners are also expected to join these solidarity measures in the coming few days. The prisoners will also be sending letters to the prison’s administrations demanding the hunger strikers requests to be met and to end the solitary confinement of Bilal Kayed who was placed in isolation on 6/9/2015 knowing that he is serving a 14 years sentence due to end in 8 months. Addameer demands immediately ceasing all inhumane punitive measures imposed on the hunger striking detainees and calls upon the International Committee of the Red Cross to undertake immediate visits to the hunger strikers to monitor their detention conditions and pressure the IPS to end all forms of inhumane, degrading and cruel treatment the IPS uses against the hunger strikers to push them to end their strike.